Classic solid wood panels with choice of five beautiful finishes to match any decor. Easily mounts behind office door or virtually any other location. Choose custom edging - Cove, Pencil or Radius. Includes everything you need for instant installation and deployment. 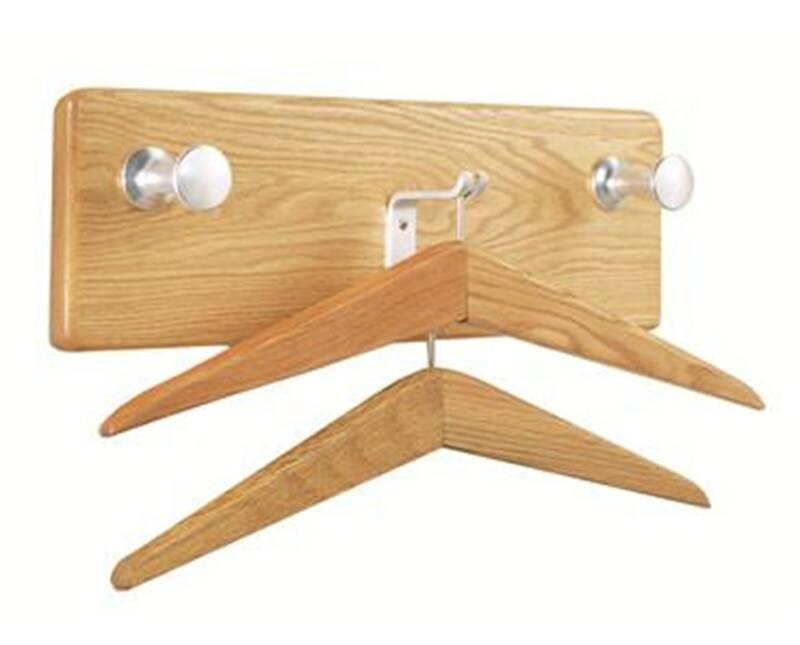 Image shows item in Natural Oak, with Radius edge wood panel and Clear anodized hooks. The finished, professional look of the Rigid Rak™ Classic Wall Costumer is perfect for medical executive offices or anywhere modern design and functionality are paramount. Made in the USA, the Rigid Rak™ Classic Wall Costumer is constructed from solid wood with anodized steel hooks. These wall racks are built to withstand years of use and abuse, while retaining their original finish. Only 3-3/4" deep, the Classic Wall Costumer can easily be mounted behind an office door, or virtually any other location. The solid wood panels are pre-drilled for concealed mounting, and include all necessary mounting hardware. The Classic Wall Costumer can be customized to match any office decor. Choose from any of five beautiful wood finishes: Natural Oak, Medium Oak, Dark Mahogany, Maple, or Walnut. 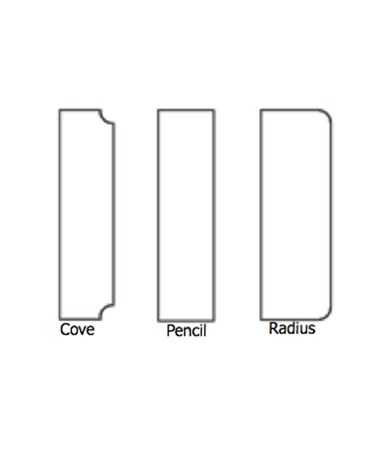 In addition, the solid wood panels are available with your choice of custom edging - choose from Cove, Pencil, or Radius edging (see additional images above for diagram). The Rigid Rak™ Wall Costumer includes everything you need for instant installation and deployment: the classic solid wood panel, three hooks, matching wooden hangers, and mounting hardware. All Rigid Rak™ wall units are part of the Rigid Rak™ family of products and accessories that allow you to combine matching finishes, hook styles, hangers, and other accessories to make the very most of your valuable office wardrobe space. And like all Rigid Rak™ products, the Classic Wall Costumer is backed by a Lifetime Warranty. 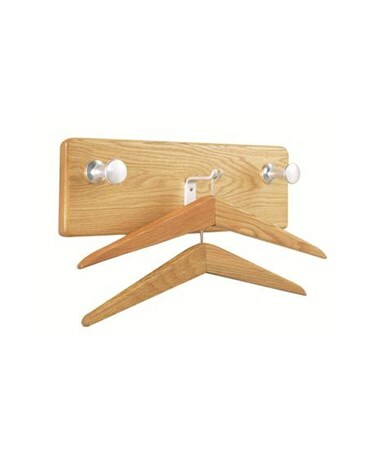 Solid wood panel with anodized steel hooks. 3-3/4" depth makes for easy installation behind office doors or virtually any other location. Five rich, beautiful wood finishes: Natural Oak, Medium Oak, Dark Mahogany, Maple, or Walnut. Choice of custom edging - Cove, Pencil, or Radius edging. Two model 901 anodized steel hooks. One model 900 anodized steel hook. Two matching model 951 ball top wood hangers.